The last month’s newly introduced Free Trade Zone has loosened many of the previous restrictions on foreign investments in China and provides investment opportunities for foreign owned companies. Investors all around the world hope that this will permit market economy in the otherwise heavily state-controlled country. The idea behind the free trade zone is to slowly open up for market economy, promoting the Chinese market and later on, see if it is ready to spread to the rest of China. 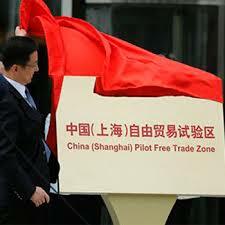 The Pilot Free Trade Zone in Shanghai (FTZ) was launched the 29th of September 2013, covering an area of 29 square kilometers in Shanghai’s Pudong new district. The project has an initial start-up of three years, where after it will be analyzed and valuated. The Chinese Government is hoping for increased foreign investments in FTZ and has loosened and removed several of previous restrictions to make the area more lucrative for foreign investors. Media reported that 36 new enterprises were established on the same day as the opening, 11 of them foreign owned. The biggest change so far is the introduction of the negative list which prohibits foreign investments in specific areas. The negative list is almost exhaustive, meaning that areas and companies that are not listed on the negative list are permitted and only need to follow a simple filing procedure in order to be accepted. The approval process which usually could take several months has been simplified, removing several approval requirements. The process should now takes four days, compared to the previous time frame of several months. How it will work in practice is still yet to be seen. There have been many changes in the financial sphere due to the FTZ. The overall goal behind the FTZ has been to try to create an equal entry for both domestic and foreign investors in certain financial areas, which also may involve the elimination of business restrictions for foreign investment enterprises. As a means, imported goods may be exempted from import taxes and the interest rates will be set by the market instead of the authorities. The heavy restriction on the Chinese currency RMB will be lifted, allowing the RMB to be converted freely in the FTZ. 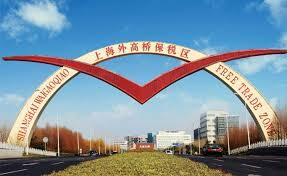 The FTZ has been compared to the success of the first special economic zone that was created in Shenzhen 1980 under the influence of Deng Xiaoping, one of the leaders of the Communist party in the late 70’s. The Shenzhen economic zone today has a $30 billion investment from foreign investors and is considered one of the fastest growing cities in the world. Shenzhen is seen as a big success in economic terms and the expectations are high for Shanghai’s Free Trade Zone to follow. So far there has been no rush by foreign investors to the FTZ, but the Chinese Government and financial experts predicts Shanghai to be the new economic hub in China, passing Hong Kong as the leading financial district. Critics claim that the changes are moving at a too slow pace and that many of the promising changes have not yet been set into practice. Nevertheless, it is undisputed that the FTZ is a major step towards a more open financial climate in China and that it is the wish of the Chinese government to make the financial climate more lucrative towards foreign investors.